For the friend who blames everything on Mercury Retrograde. 1. A print that spells it all out. Get it from Printy Much for $5. 2. A zodiac-themed zipper pouch to help carry the important stuff. Get it from Mama Bleu Designs for $16. 3. This dainty set of temporary tattoos. Get it from encredelicate for $3.82. 4. A book of matches. Get it from Anthropologie for $11. 5. A simple embroidered baseball cap. Get it from fairebroderie for $14.99. 6. A galaxy print infinity scarf. Get it from Aslidesign for $18.90. 7. A set of really cute socks. 8. An astrology map that glows in the dark. 9. A constellation pillow cover fit for any lounging space. Get it from Newton and the Apple for $31.46. 10. A constellation cuff that can be customized for any sign. Get it from Catbird for $50. 11. A whimsical shower curtain fit for a greek god. 12. A pin that serves as a reminder that yes, you *can* get through Mercury Retrograde unscathed. Get it from Goddess Provisions for $12. 13. 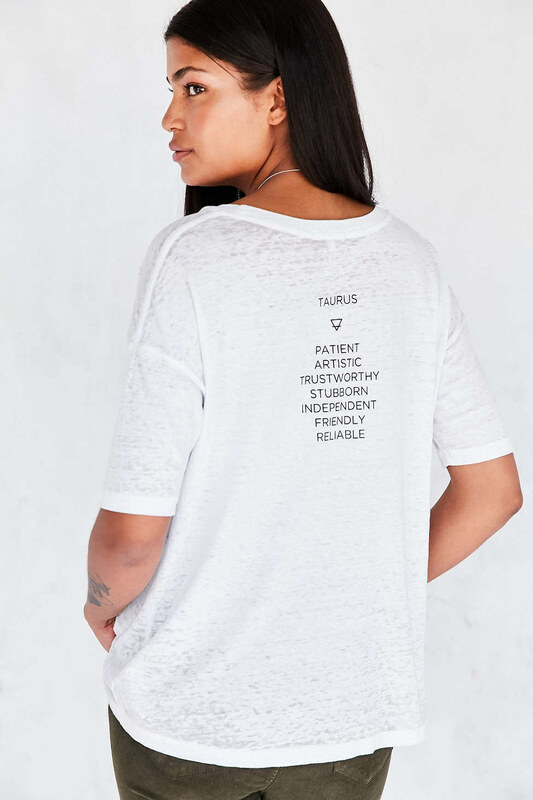 A shirt that spells out all of your best attributes on your back. 14. A choker to proudly wear your zodiac sign. Get it from WildflowerandCompany for $18. 15. This hoop wall art for each and every sign. Get it from Cristina Makes Whimsy for $25. 16. A solid gold zodiac ring fit for a king. Get it from Catbird for $124. 17. A minimalist leather clutch with a small zodiac imprint. Get it from ARTandJILL for $68. 18. A cosmic 2017 calendar filled with moon phases, retrogrades, eclipses, and any other planetary action you need to know about. Get it at Astrostyle for $50. 19. A candle for every zodiac sign. 20. A black and white backpack that features all of the zodiac signs. Get it from Fab for $90. 21. A glass hexagon box to keep your treasures in. Get it from Maria Allen Boutique for $58. 22. A flow-y, draping sweater covered in constellations. 23. A tote with a map of the heavens on it. Get it at From Flora With Love for $27. 24. A money clip personalized to each sign. Get it from Gossamer Scapes for $28. 25. A toiletry and cosmetic bag for all your travels. Get it from Firebolt Creations for $15.95. 26. 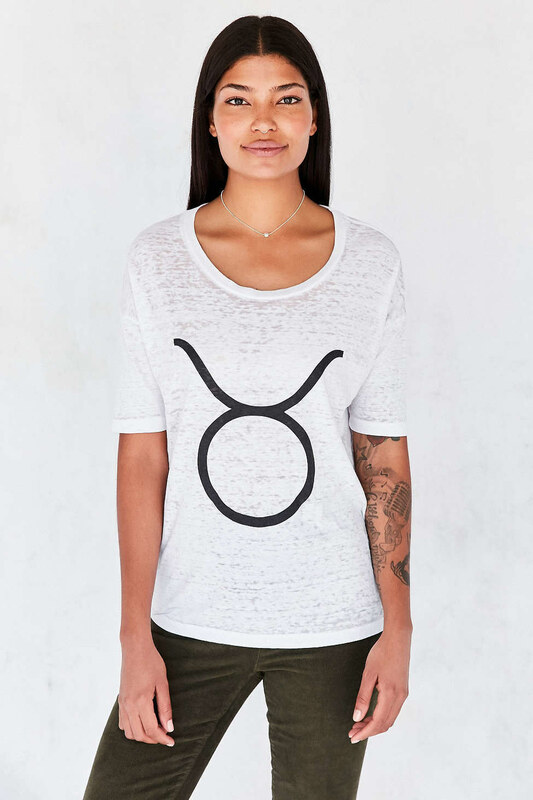 A comfy tee with the astrological signs displayed with stars. Get it from Power Rocket Shirt Co for $18.50. 27. A sleek white iPhone case with your zodiac sign on display in gold. Get it from Case Cavern for $17.99. 28. A gold plated charm bracelet. Get it from Amazon for $19.60. 29. A heart-shaped keychain for every sign. Get it from KfiatekGiftedHands for $19.90. 30. A set of crystals especially curated to help give the best vibes to each sign. Get it from Love By Luna Co for $14.99. 31. A silkscreen tank top perfect for yoga class. Get it from myPositiveVibes for $22. 32. A book that will teach you how to create your own birth chart and understand what it all means.